We welcome December the last energetic month of this year 2018. A year of acceleration of our ascension trajectory, illumination and unity. If during November practicing the power of oneness was essential to support the new frequencies that are assisting us during this long transition. During December acting as the avatars of synthesis that we came here to be - seeding Christ/Unity Consciousness - will be pivotal to support the massive collective awakening that is taking place, at this time, and that will continue during the next year that we are about to greet. At this time of our evolutionary path, we find ourselves crossing the bridge towards our new destiny, one that we have consciously created during months, and that we are still molding, in the depths of our being. It is at this time when we precisely shall keep focusing on what we are building rather than in what we are leaving behind. For as long as we continue feeding old timelines, we could not step into new horizons. This is why radical focus on our soul creations, is pivotal during the next two months. We are indeed concluding a macro, and the majority of us a micro cycle as well, of our human experience, in which integration aside from the constant dissolution of the old, has been a constant, during this year that we are leaving behind. As a part of our main mission, as Divine Emissaries, we are here to bring back the cosmic remembrance of our true essence, which is always one of unity and unconditional love to All. This is in fact a month of change, even though we many not perceive it as such, due to the many 3D distractions during this month. As a confirmation of the change that we all are creating, in our unique way, this month holds a 5 - 23 reduced - universal frequency. Number 5 indeed indicates change, one that shall be stabilized later on, which is what we will be doing during January. This change is not just in reference to our human lives but to the energies we are facing. Gridworkers and gatekeepers are constantly anchoring the new frequencies received. There is a profound planetary shift occurring at a deeper level, one that only those who are attuned to what is truly happening - seeing beyond the 3D game - will be able to perceive. A transformation that comes after the conscious liberation from the old, for it is then when we are ready to be adventurous and step into the unknown. Indeed we find ourselves in a constant wave, until we finally reach the shore of our new destination, which although new, never final, as we never ever ends discovering new horizons, within this endless evolutionary path of conscious remembrance and co-creation. As New Earth Seeds and Starseed Souls we came here to act as emissaries of what living within Divine Love is. Our main task as conscious beings is to spread, by our actions and state of being, the true meaning of Christ consciousness, for many are still feeding the distorted one that was created after the arrival on Earth of our Beloved Jesus. The distorted version of what Christ consicousness is, has been deeply spread and inculcated, especially, as it was my case, by certain religions, our families etc. since we were born. This is one of the many reasons why the majority of us have spent many years working on the dissolution of these false patterns/implanted beliefs that have been imposed to us. The original message from Jesus, the one who embodied on Earth the Cristo Consciousness, call Him as you prefer, has nothing to do with what many try to enforce, especially during December, for he simply came, from the spheres of light, to show us how to embody a higher state of consicousness so we can also act as a living example of unconditional love and compassion to All. This is a month used by the hidden agendas to mask all that is real with fake lights and illusions. During December the 3D matrix uses all their devices to keep distorting the true meaning of christ consciousness, when in truth Christ Consciousness has nothing to do with what we have been taught, for it is an energy that goes beyond our dual Universe. Our mission as conscious beings who remember is not to fall into the trap of consumerism, fake happiness - implanted by many 3D distractions/illusions - or any other manipulative tactics they use, but to bring remembrance by own example of what embodying christ consciousness truly is about. It is well-known by those who are working on assisting this transition that the 3D matrix is being replaced, in spite of the many efforts of the dark agendas for this not to occur. The challenge for many who are awakening at this time is not to fall into the false sense of unity that the matrix continues imposing, which is based on uniting people through commercialism during one month, which vanishes as soon as the day ends, for it is not authentic, just something with which they manipulate people so they can hold, for a while, a fake sense of happiness. It is during December that we are sold the image of the perfect families, of being happy simply with the excuse that Jesus was born, or many other fake beliefs, lies etc. The truth is that in December as well as in any other month, we all have our micro cycles and we all are not going or have to feel in the way they want us to feel simply because it is convenient for the matrix. Bliss should be our natural state of being, one that even though tested by the many challenges we shall experience for our personal growth, should be always from the space we operate in all we say and do. What is important for the ones who live now outside of these festivities, is to remain in love, at all times, as we do during all the year and not just during one month, rather than being sad for all the manipulation, and distortion of what is sacred for us, and we see during this time. No matter what it appears to be in the physical or what they want us to believe, we already know, as many of us are already experiencing this, the tremendous shift that not just our personal reality has experienced but Planet Earth as well. This is our main focus and not the illusions the matrix projects and that are meant to literally hypnotize people to act as mere puppets of an already decaying reality. December, as the previous month, continue to be a key passage for us to consicously work on Christ/Unity consciousness. To me this has not been just about the 11:11 but an energy that was built even before this day and that I have been working with for a while. There are many people who have been acting as living portals to anchor Unity Consciousness as their soul role involves acting as bridge builders - mediators between the cosmos and Earth - anchoring the energies that we are receiving from many stellar gates, since our Planet bifurcated from old earth. Their main mission is to channel, and help descend, the cosmic energies into our physical plane. For this to occur their level of purity and personal work has to be pristine, for they physical bodies could not hold these high frequencies. They, together with the souls whose role is to be new earth anchors, are helping many incarnated, and non-incarnated souls, to cross from old earth to New Earth, for as you know there is a group often call the archons whose main mission is to keep Earth souls trapped in the 3D karmic wheel to continue controling and enslaving them, as they have been doing until recently. During December while many enjoy the Holidays and continue feeding consumerism and many other 3D diversions, the ones who came to assist the Planet change its old trajectory, are going to be very busy anchoring the Crystal-Christos energies that are assisting many since 2013 to retreive their Christed memories/codes - remembering, again, the true, and lost meaning, of Cristo and what the energy He brought to our Planet/us truly means. There is already a massive collective awakening occurring in the Planet, that will increase during this new year 2019, and the most important thing we can do to assist is to simply be who we are. Sometimes people want to do more. To me, it is not about doing but about simply being who we are what can bring inner and outer transformation. For only by transmuting our wounds, dissolving our human illusions, is that we can begin to be of assistance. We do not have to go somewhere to help or make complicated rituals; with simply being who we are and shine our unique state of being - frequency - is enough to affect our enviroment. It is not about what we do, for we can never deceive the Universe, but about who we are and what we decide to do with our Essence what counts. As you know a fifth dimensional version of our Planet already initiated its separation a few years ago, concluding its final bifurcation last year. As this is not a one-day or year transition, and it takes more time that our human limited minds can comprehend, our Planet as a living organism in itself as well as ourselves, continue to disassociate from the 3D matrix, at an accelerate rate. This is a time where many will begin to awake, as it was planned by their souls, and as it is happening at the moment, and will feel the impact of remembering who they truly are and their mission, has, on themselves and in their human lives. The more they retrieve their ancient memories, the more they will begin to disengage more and more from their old lives, jobs, relationships and everything that will mean being attached to an old frequency that can no longer coexist with where they have become. As energetic holders, our task is to help support this collective shift as well as the ones who are still navigating between two worlds and do not possess yet the level of consciousness that we have embodied during these years. It is pivotal that we act as compassionate beings for all who are beginning to remember, for we have been there once and they need all of our love and kindness, at a moment when they could fall, again, into egoic or dark traps. 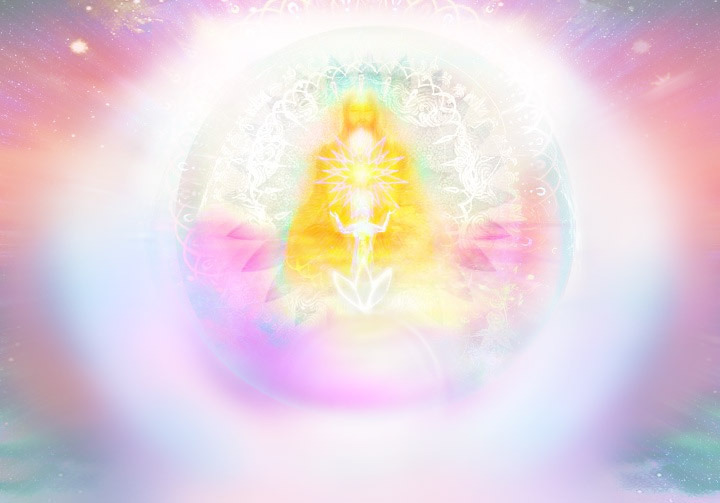 With respect to the Planetary ascending souls who are supporting this shift between worlds - New Earth Anchors between many others - it is important that we begin to understand that one part of our mission has been fulfilled and begin to assist those who are crossing to the new dimensional space that we now occupy, whether incarnate or non-incarnated beings, from a fifth dimensional perspective, for our role in between dimensions can only lead us to continue being exposed to the dark agendas, which continually try to impede us doing our work. As living anchors our main task is to act from a safe space in which we could help more than trying to protect ourselves all the time. For the ones who are not yet guided or allowed, so to speak by their Unified Self and hence mission, to leave this position, as you know you count with the assistance of many Light Forces and Beings and with your biggest ally - your own Unified Self and Team Guides - to continue with your role or bridging old and New Earth, until the time for you to step into a new role or space, comes. As humans, some of us have been anchoring these frequencies in between worlds/dimensions, for so long that we have been granted now with the personal choice of moving and continue doing so from a safer space, for our work was constantly being attacked and our bodies need some rest from the task we perform in other dimensions. It is now that we have the opportunity to unite ourselves in this purpose of unification and use our power to strengthen our conscious duty of anchoring these new frequencies within a 3D space, so we can help bring liberation and peace rather than more illusion or confusion. For the ones who work as astral surgeons and healers, for it is the nature of your soul and the abilities that have cultivated/learnt during eons, this is going to be a month in which your assistance if going to be vital and much appreciated for the ones who are physically shifting and do not know how to work with their new bodies yet, as it was my case when I began another profound physical transformation this summer. Astral surgeons perform an extremely difficult and wondrous task, as I have experienced myself, to help our bodies recover their energetic balance as well as to remove implants, and many other wounds or imbalances that have physicalized and that we by ourselves cannot remove. During this time needless to say that the ones who assist by anchoring Christ energies for they are holders of it, will also need to take special care of themselves as well as physical bodies, as this is a very intense month for those who are working behind the physical scenes. It is pivotal that all of us who contribute in our unique way in this transition, do not push our bodies to the limit, for they will burnt out, if we are constantly descending and embodying energy without taking the proper rest, in between times. Exchange periods of resting with periods in which we integrate and anchor is vital, for excess of energy is very hard to channel, especially if you nature, like mine, is hyper. Descending wisdom/light shall be alternate with periods in which we totally disconnect from all physical, mental and spiritual activity, and use this time to focus on the recovery of our bodies as well as on other activities so we do not take the risk to take our bodies to exhaustion. There are times when they body just need to be and replenish more than any other thing, and it is our conscious task to be our own caretakers and understand the intense, and sometimes hard process, that our bodies are experiencing, especially during this year of acceleration that we undergoing in which our bodies are transmuting while retrieving its original Adamic DNA as well as crystalline form. Regarding the physical body, for many this is going to be a month to stabilize, after the frequencies that we have been descending and that have caused a deep transformation in our physical bodies. For others, this will be a month to continue their integration process and healing. It is all what we need for where we are in our path. In the end, we all are going to pass through the many stages required for our bodies to come back to their natural crystalline essence. The mutation that our bodies are experiencing must be observed and supported, for it is precisely in this dense plane that we have the opportunity to experience physical ascension, and the more we continue living in the ethereal, the more that we will lose the blessing of transforming our bodies, while we are still living in a physical reality. This process is a very long one that will not end during this lifetime for the majority. The more beliefs we let go, the more we conquer our inner shadows, not denying them but accepting them as an equal part of who we are, the more we will cross the veils of human illusions, and the more that our bodies will continue to release, for each part of them holds a different limited belief/wound that must be healed, if we desire to awaken the ascended master that we all are in Essence. November, at least in my personal experience, has been a month that have pushed all the body imbalances into the surface, in a way that have been physically painful, for the lower self tends to resist releasing all trapped wounds/beliefs. The more we resist, the more pain we will create in this natural process, and the more we focus on what is "wrong" the more we will be creating this illusion, for there is nothing wrong, as this is simply a natural procedure that the ones who have consciously chosen to experience this transformation, will continue to undergo. For me it has been all about experiencing a deep pain in my bones - our body foundation - and muscles, I could barely walk without feeling a deep pain in my feet and legs. The same occurred with my back and hands, until the point I thought it was going to be physical. I continued working with my body, and one day these sensations begin to vanish just like this. This has been the main reason why I was away from social media and did not posted much, because I was totally focus on my body and not other distractions. This physical process I passed was new to me, as other times it was less painful, to be honest. It began this summer and since then I have been experiencing a profound transformation in my body like never before. Self-observation is key, for what you used to eat, like etc. may not resonate anymore with your new way of being. This is how much we are evolving, if we choose to consciously work with our bodies and let go of more old layers. This was my personal experience, for you, it does not have to be painful. Remember do not compare yourself with anyone else, for even though we all like to find people that resonate with our unique process, we are all unique and our bodies know what they need to liberate/integrate/transform and in what way. Our responsibility is listening to it and support this process. This month is a continuation, as you know the energies do not come and go and last for just one day, of November, having as our main purpose to step more and more, for this is an endless path, into Unity Consciousness. Unity begins from within, by synthesizing what is fragmented before we can make an attempt to unify our human lives. During this month many are going to be challenged to discern what is authentic unity from the fake one that is imposed by the 3D matrix and that many continue to believe as being the real one. As I always say, please take what resonates, as I know this is a very delicate subject. However, it is my duty to sharer my own experience, as some are physically ill while they think they are experiencing ascension symptoms and vice versa. Whatever it is your situation, you should base your opinion and act only based on your own guidance. Having a balance is pivotal not to fall into delusional egoic traps, especially regarding the care of our physical vehicles. All I share is based on my own guidance and experience in case it can be of assistance to others, never to teach or implant an idea in anyone's mind. At a cosmic level, December is a month in which we are going to be immersed in a phase of constant change. This shift is a profound one, even though it is masked by the many distractions of the Holidays. This is a very imporant phase for the ones who are stepping into a higher timeline as well as for the ones that continue navigating, freely, within it. This is why it is so important that durring this month, we focus not on the 3D manipulations, but on the true remembrance of what being Christed Beings means and of what acting as such truly is about, for this is not a fashion that lasts during one month, but a constant state of being, which is not separated from who we are, and our mission. This is not a time to focus on material things or dramas, for we know that it is our task, as conscious beings, to hold the space for the new souls that are beginning to awake, aside from sustaining the new dimensional space we now occupy, which can only be done by keeping a higher frequency, at all times. As I shared at the beginning of this post, this month's essence is one of change. December's universal number is 23 - 5 - reduced. In tarot, the card that represents number 5 is the Hierophant. The Wise Man is a metaphor of a Higher Intelligence who guides us and who reveals Truth for all who are ready to listen. This is indeed a phase for revelations, a passage to show us clarity in all situations of our human experiences. Number 5 has a passionate frequency which invites us to embrace change, in whatever form it comes. Mars is related to this number, whose Warrior frequency, if well embodied, is perfect for us to overcome any challenges that may arise as we continue growing and expanding ourselves within new timeliness. All is meant to help us, everything even that, which we consider "bad", helps us see where we are not being the LoveLight beings that we are. Furthermore, number 5 symbolizes self-liberation, liberation from cults, religions, old programs, and from everything that keeps us small and in fear, which is everything that was created by humans, in a lower state of consciousness. Astrologically speaking, we begin this loving month with Mercury entering into Scorpio on December 1 and Venus doing the same on the next day. Mercury in Scorpio, is very intense and it is another invitation for us to visit our inner realms, but this time our mental one, for it is there that sometimes we most need to create change - unprogramming ourselves from beliefs that are impeding us to evolve and see reality as it truly Is. Mercury in this powerful sign is also asking us to observe the communication with our own selves, as most of the times it is the first cause of negative self-programming. This is also very good for telepathy, as Mercury in Scorpio goes deeper into thoughts and what is hidden and unsaid. It searches, mentally, what words cannot express and what we often are in fear to share. On the other hand, Venus entering as well in Scorpio is going to serve us to go deeper into our relationships and sense of abundance, for both are simply different form of love. This is not a time to simply focus on the material or superficial, but to go further into the essence of people and things, which is pivotal in a month rules by consumerism - often imposed to us whether we want it or not. These loving and intense energies are another kind reminder for us to remember the importance of what truly matters and of what we really are made of, above any other form of mind control. Venus in Scorpio is also a time for us to go after what is really important for us. Our families, friends, and all authentic relationships. This is an opportunity for us to appreciate everything we value in our human existence, and enjoy the blessings it all bring into our life. This is also a gift for those who want to discover the truth in their relationships and other important situations, especially with Mercury being in Scorpio too. A time for soul grouping, for as you know it has been happening for a while, for many of us are reuniting, as One, to assist in the current planetary transition that we are undergoing. Venus in Scorpio is also a time for us to discover, and dissolve, the shadows in our relationships. A good opportunity to realize if we are maintaing balanced relationships or if we are yet keeping them by egoic attachments or pain of letting them go. In this same day, on December 2, we also have another important cosmic encounter: True Node trine Chiron. This frequency is a good omen for those who are beginning to leave aside their 3D jobs and remembering their healer within. This is an opportunity for those who are feeling their true path is related to dedicate themselves to be of service as healers and build this new path. It is important to pay attention, during this cosmic encounter, to our soul revelations, for many could receive the call of becoming spiritual teachers, healers, and any other modality that is related to be of service, in a new and higher way from the one they performed before. If you are one who are beginning to feel this soul call, do not force your destiny, it is already written, by you, and it will occur when you are fully ready to confront any challenges that may arise in your way to become who you truly are. There is no rush, there is no final destiny. You are exactly where you need to be to remember or to do whatever it is you are already feeling. You just need to trust in a Higher Power, unconditionally, knowing it is coming; your only task is not to be constantly asking or forcing things to occur, but to surrender and be open to receive it, whenever it shall come. On December 6, we have Mercury turning direct again. As you already know, I no longer share about cosmic events that are just illusions from Earth and that only limits our human experience, for there is nothing ever retrograde within Creation. So in my own evolutionary path, I have already dissolved the illusion of Mercury being retrograde affecting or even ruling our human lives. This is why I do not focus on this human made belief anymore. Although I respect it and share this day, as I know many will be interested in knowing it, even though I will not go further. On December 7, we have a New Moon at 15 degrees Sagittarius. This is a Moon which brings joy, at a time when we are celebrating, not just the Holidays, but the Christed Essence within and the expansion that we are having due to the inner work of conscious remembrance that we are doing. This Moon is one for us to open our minds and hearts to the unknown. This Moon is all about being constantly learning, expanding and opening ourselves more and more, and let our soul's inspirations guide us, in this new phase that we have already begun, from within. This Sagittarian Moon makes also challenging aspects to Mars and Neptune. However, these are just opportunities for us to commune with our soul, expanding into what is still fragmented, knowing that this is the first step towards self-unification, and hence, liberation in the physical, which is also our desire, as a part of our human nature, as well as mission, once we incarnated in this physical plane. Chiron the Cosmic Healer as I call Him, will be direct again in Pisces since December 1. As we also have Neptune direct again in this same Water sign, we have an opportunity to heal those feelings and old beliefs that our human self still keeps repeating and shed forgiveness and compassion instead of not taking responsibility for our own journey - blaming others or outer circumstances - as our reason to feel pain. Pain should be embraced, it is our best teacher, and our transformer, as it is an indicator that we are doing something that is not aligned with our true soul purpose and Will, and hence, should be dissolved. Days later, on December 21, the Sun will enter in the sign of Capricorn, celebrating the Winter/Summer Solstice, depending upon where you live. The Sun represents our Higher Self, our Essence, so when the Sun shines its light into a sign of the zodiac and hence into a specific aspect of ourselves, it means we are invited to develop and work on this concrete side of ourselves. With the Sun in Capricorn, we are called to nourish the aspect of us who brings things into fruition, making them tangible, paying attention not only to the ethereal part of us, but also to the aspect of us that needs to be nurtured - in the material - since they sustain ourselves. After all, the new frequency we hold is meant to be anchored within our dense realm. Capricorn also gives us equilibrium, so we do not fall into the trap of illusions, procrastinating the birth of our new creations. The next day, on December 22, we have a very loving and healing Full Moon at 0 degrees of Cancer. This is a Moon to end cycles regarding our healing process. This is not just a Moon for us to focus on family reunions, for it is Christmas and this is the typical thing to do, but to focus on our personal healing process, especially with it happening at 0 degrees, which is a critical degree. This is a Moon for us to bring out our emotions and embrace them even though some of them were buried deep within ourselves or denied. This is also a very powerful frequency for us to work with family karmic patterns - coming back to our roots not to judge or reject anything but to embrace whatever we find there and heal/rewrite what we are not meant to repeat, again. We end this loving and magical month with a non-less powerful cosmic event: Jupiter semi-sextile Saturn on December 27 together with Mars entering Aries. The first event is going to help us being responsible and conduit our lives in the way we truly desire. The second one is going to help us descending the power, initiative and vitality required for us to begin creating the strong foundations of our new reality. This is a huge influx of energy for those who are ready to release an old chapter and without looking back, step into an unknown, but blessed, new phase of their lives. These two impulsive forces are going to act as catalysts for us to direct our warrior essence in building rather than focusing on anger for what we are leaving behind. As ascending souls, our main purpose towards ourselves and All is to become conscious of every thought, feeling and act - learning how to direct them in a constructive way rather than impulsively, for it is only by acting with integrity and compassion that we can finally begin to be the Seeders of Unity Consciousness that we came here to be. Walking on this Earth practicing Unity Consciousness does not mean to talk, write or read about it but to go out there with an open heart, even if it gets hurt, for this is precisely what makes us stronger and gives us the opportunity to remember the power of forgiveness and unconditional love. There is no other way to practice unity consicousness than being open for anyone and anything that shall come and touch our hearts. We all know we did not come here just to be in the top of the mountain, undisturbed by anything or anyone. We came here to be who we are, yes. We came here to live and learn from our personal challenges and continue growing, yes. We came here to create Heaven on Earth, yes. And we also came here to assist, and in this process creating healthy boundaries is essential. However, walking with a heart closed to everything and everyone that is not where we are continues to be egoic, whether we accept it or not. We did not come here to fix anything, but to seed love even into the smallest creature and most unconsicous being, and doing so requires humility to understand that unconditional love is only so if it is given to everyone, and even more when we share different views of reality. Otherwise, it is not love, but egoic resonance, which is fine, but never close to what living within Divine Love truly is. This decree is another of my daily reminders that I do to connect to All not just with my Unified Self but to remember unity with every single being, as well as my conscious decision to assist All within Creation. This decree is a more universal one, for I use concrete names of my Guides and other things that are personal, and you will have your unique ones. As I always say, this is just an example of my own decree. As your own master and healer make/remake it in your unique way. I _(your name)_ call upon my Unified Self, Monad, and Guides who assist me on my human path, and who come from the Love, Light, Truth and Unity of God to help me protect my personal and sacred space from everyone and everything - incarnated or not - who do not belong to the Light. I_(your name)_as a Truth advocate make the conscious vow of serving only the Law of One. Choosing, at all times, to act as a vehicle of love, light and Christ/Unity Consciousness - making no distinctions between the many beings and forms of consciousness that dwell in this Planet and Universe, for I am here as a representation of the unconditional love to All that inhabit within me. As a an avatar of the Christ Consciousness it is my pure intention to heal the illusion of separation, remembering that we all come from the same Divine Source where separation does not exist. As a free sovereign being descended from the Spheres of Light, I chose to come into this Planet to be of service to All and so it continues to be my conscious choice once I am incarnated as human. From a free sovereign space, I choose to listen to the whispers of my soul, for it reminds me of my Divine origin and that of All. I choose to let go of duality, understanding it was created to help us remember unity by first forgetting who we truly are. I choose to let go of fears and judgements, for I now dwell in a space where I recognize All as equal. I thank my Unified Self and Light Team for assisting me on descending from the Illumined realms the Wisdom to always remember my purpose of practicing Unity Consciousness above any other form of human illusion. I AM an avatar of Christ Consciousness dwelling in a human body to bring remembrance of the Divine Master within that we all are. I AM a conduit for the Christ Consciousness to work throught me, bringing illumination, unconditional love and Higher understanding to All. I AM the Light that conquers the shadows and love them equally. I AM consicous expansion in perfect co-creation with All That Is and have ever existed. I AM infinite love, bliss and compassion in service to All within Creation. So it is and it will be so by Grace and in a perfect way for All. As conscious beings we are building a bridge for those who are stepping into this new dimensional space to cross over. Every time you choose to think and feel in a loving way, you are helping in building this bridge. Every time you embody more love and unify what was fragmented within, you are helping in raising the consciousness of the Planet. Every thought, every gesture, every feeling we send out, count. It is your personal choice to choose in what frequency you desire to vibrate. At every moment, you have the gift to shift and remember the power of love or to continue dwelling in fear. There is never a final destination. There is no rush. There is only respect for whatever it is you choose to experience, as another reminder of the non-judgement and unconditional love that Source feels for everything we decide to experience. I wish you all a month filled with joy, magic, revelations and bright blessings, Beloved Companions. May you all remember your True Loving Christed Essence above any other form of human illusions. Note: I have made a special offer for this loving and magical month, for those who are willing to co-create with me. Feel free to check it on my site, if guided, Beloveds. Thank you!